Hudson River Park’s River Rocks had Pier 54 rocking in 2009 with performances by Matt & Kim, Ted Leo and the Pharmacists and Yeasayer. Ted Leo and the Pharmacists performance was their 8th consecutive summer of playing free outdoor shows in NYC. Let’s hope they can keep that streak going in 2010. 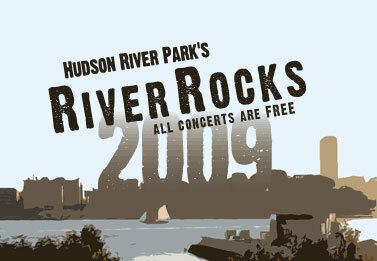 There are more Hudson River Park’s River Rocks videos to be found on the Video page.